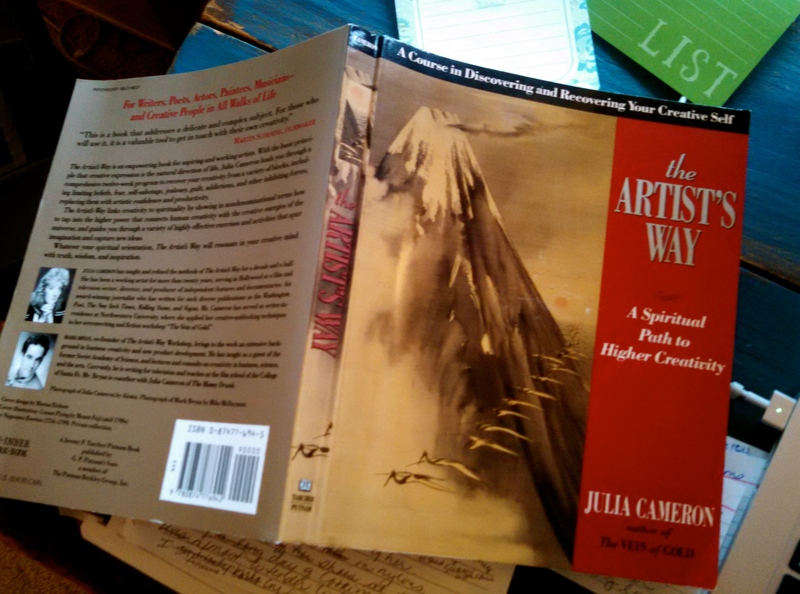 Thanks to writer/poet Bethany Reid, I have been reading the Artist’s Way by Julia Cameron and enjoying weekly conversations about the process with her and other “creatives” who committed to a 12 week journey and exploration of this book. Check out Bethany’s lovely blog for reflections about this process and much, much more. Week 4 in the book includes a week of “Reading Deprivation”. Arggghhhh, was all I thought. Like any good addict, the first step is admitting you have a problem. And like most addicts, I was sure I didn’t fit the profile. In a small panic, I wondered what I was going to do when: I ate (I often eat alone with a book my only companion), used the bathroom (yes, queens and kings of poetry, your books reside in lovely containers next to all three thrones), rode the ferry (good time to catch up on my reading! 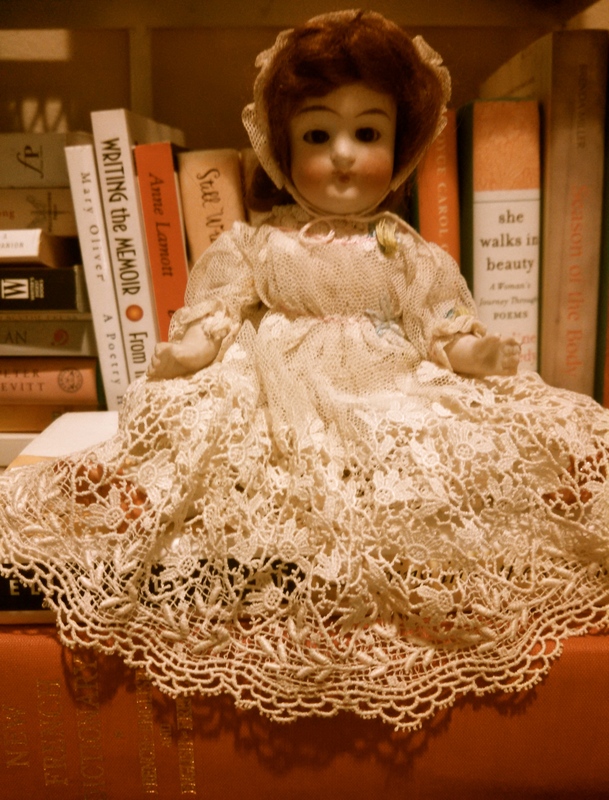 ), went to bed at night (my current novel waiting for me), sat in the waiting room (what else would I do? ), not to mention how I was going to finish my book club book. I started this reading deprivation assignment yesterday morning. By lunch I had written down a few words for a poem. This morning I wrote the first draft. Last night instead of plopping down on the couch with a magazine or book, I organized my mess of writing, which had taken a back seat since our move this past summer to Port Ludlow. I listened to a Simon and Garfunkel album all the way through, just like I did when I was 15. Today I woke up somewhat relieved I didn’t have to read. All those books I love to read were also reminders of all the books I had not read, all the music I had not heard, all the trips I would not take. I also understand the irony of reading a book to figure this out. Slowly, I am beginning to understand, I need to whittle down my exposure to the world. With all its wonderful opportunities comes a bit of anxiety that I can’t do or have it all. It made me realize that I feel best when I create, and to create I need to unplug, slow down, pay attention. Sometimes the things we love in our life are the things we have to let go of to move forward. Even if for a little while. Thank you Bethany for the invitation to be part of this amazing dialogue. Thank you Julia Cameron for your wisdom. Here is the first draft of a poem that came out of me letting go of one small thing and being open to what I might create in its place. I don’t usually share first drafts, but today I am not going to worry about it not being finished, but rather just share its beginning journey. the cabin, which even then seemed ancient to me. pink alongside the trail to the lake—all of us bursting from a rare bit of sun. 10 miles to and from town for a root beer float at the A&W. Frying up her famous donuts and handing me the first greasy bag to take outside. Tending my blistered feet with my mother after I had stepped into a fire. still perfect in its silence.